It's my birthday soon and I wanted to have a few (well, maybe 15-20 or so) friends over for a party. The last few years I've had lower-key birthdays but this year I wanted something a little bigger, especially since I know more people now and it's always fun to party! My coworkers are awesome. S asked me if I'd like a cake and offered to make carrot cake. That sounded awesome so I took her up on it, finding out that she made a Bundt cake. Of course that prompted us to watch the scene from My Big Fat Greek Wedding where the main character's non-Greek future in-laws bring a Bundt cake to her Greek family, with hilarious results. We were in hysterics. S decorated the cake in the style of the movie's cake but made it even ever so much better. I just about died of delight when I saw it. It's the most exciting cake I've ever seen! 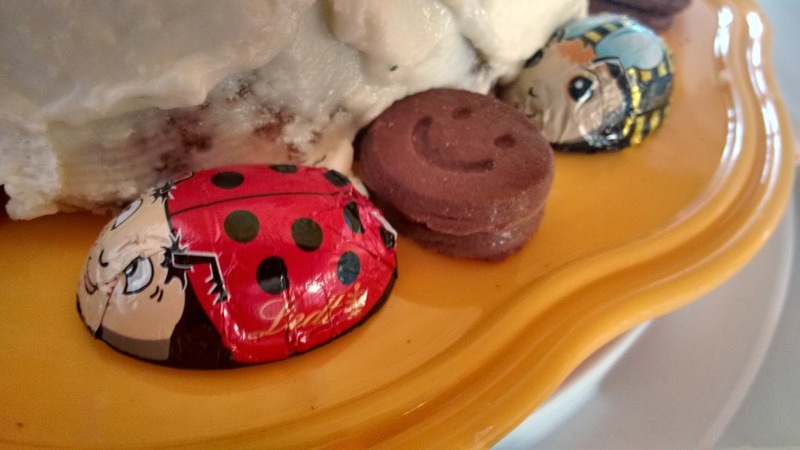 I love all the little chocolate bugs around it with the unsettling, anthropomorphic faces. 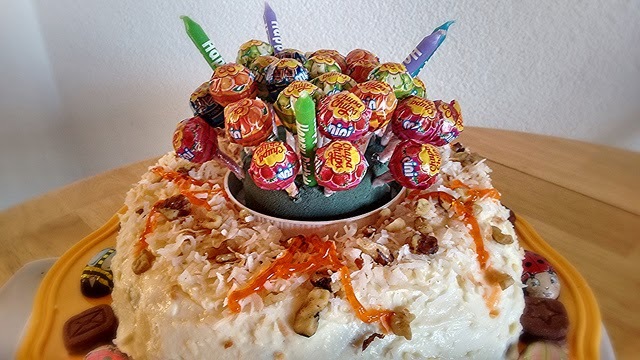 The bunch of lollipops with happy birthday candles shooting out is very lively. She even wrote multiple letter As around the cake. 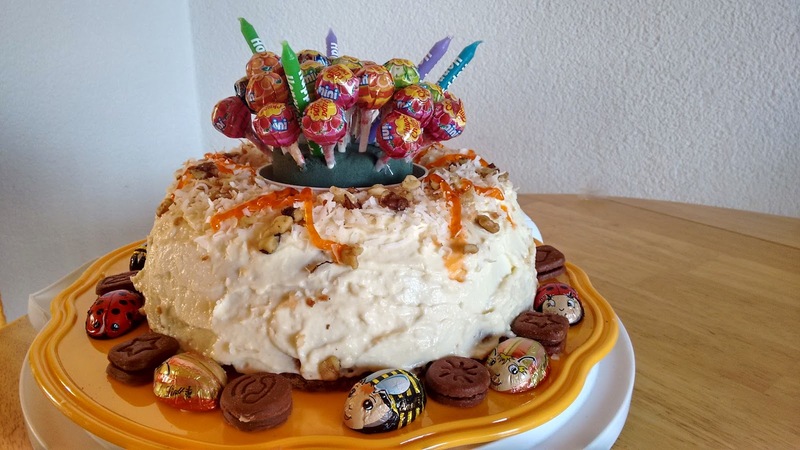 There's so much going on with this over-the-top cake that it is beyond fantastic. Best. Cake. Ever. Thanks, S! It is such a treat to work with such awesome, thoughtful (and funny!) coworkers. Don't squash me! I have a human face! says the chocolate bug.